LOS ANGELES, California (KFSN) -- A "Jeopardy!" contestant lost $3,200 after the show's judges said he mispronounced the title of Coolio's 1995 song "Gangsta's Paradise." Nick Spicher was on the game show Monday night when Alex Trebek read the clue, "A song by Coolio from Dangerous Minds goes back in time to become a 1667 John Milton classic." Spicher quickly buzzed in answering, "What is Gangster's Paradise Lost?" There was cheering as he was awarded $1,600. 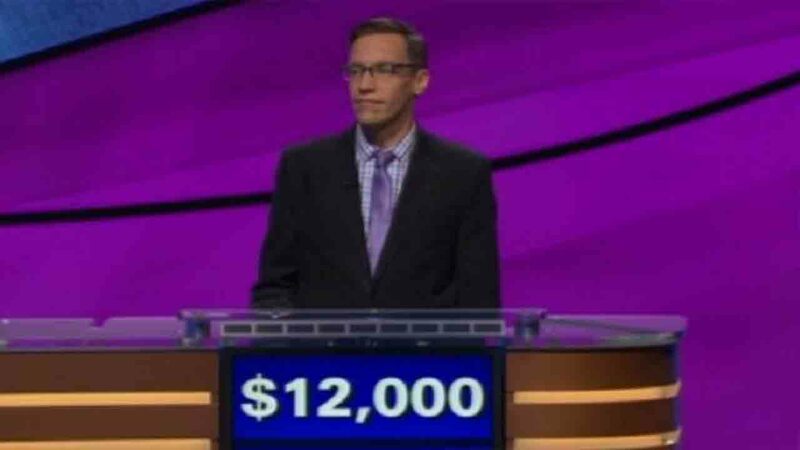 But later in the game, judges reviewed his answer a realized that he mispronounced the song's title - he said "gangster's" rather than "gangsta's." "It turns out that 'gangsta' and 'gangster' are both listed separately in the Oxford English Dictionary, each with its own unique definition," "Jeopardy!" said in a statement. "Nick changed not only the song's title, but also its meaning - making his response unacceptable." Spicher lost $3,200 because of his original winning was nullified ($1,600) and he was docked $1,600 for the incorrect answer. And by his reactions, it goes without saying that the contestant was clearly displeased. "Jeopardy!" even poked fun at the incident by tweeting, "Today we learned that there's a huge difference between a 'gangster' and a 'gangsta.'" However, the loss didn't set Spicher back much, he ended up winning $15,201.